Photo: Mickala Thomas - Pure Mac Photography. 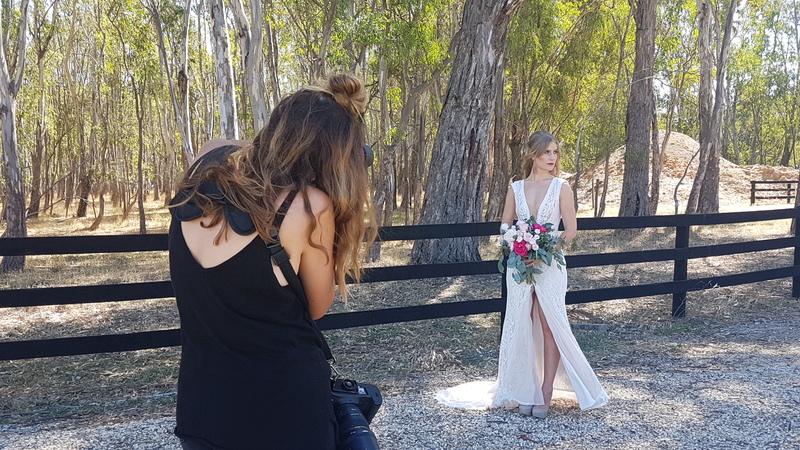 Here at Bride and Groom, photoshoot day is one of the most anticipate dates on the calendar. 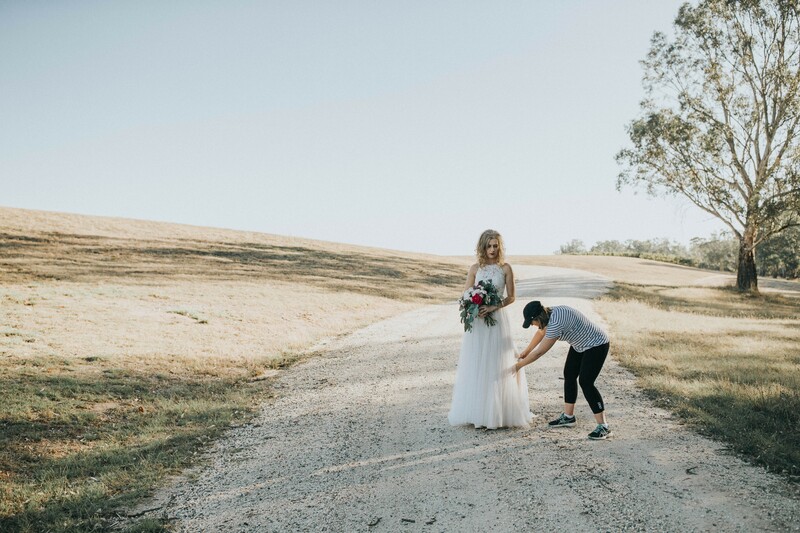 A bridal photoshoot is not all the beautiful gowns and pampering, it’s all hands on deck, but the end result is always worth the hard work. 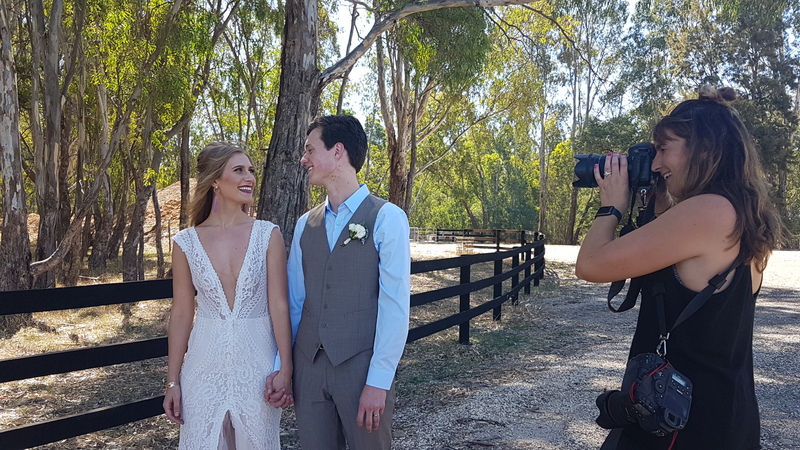 The morning begins with the run-around – collecting dresses from Michele's Bridal and Formal Wear and Brides and Maid, suits from Matt O’Keeffe Mensland and jewels from Blizzards Fine Jewellers while the models are in hair and makeup at Gloss Hair and Beauty Boutique. It’s on location that the magic begins. 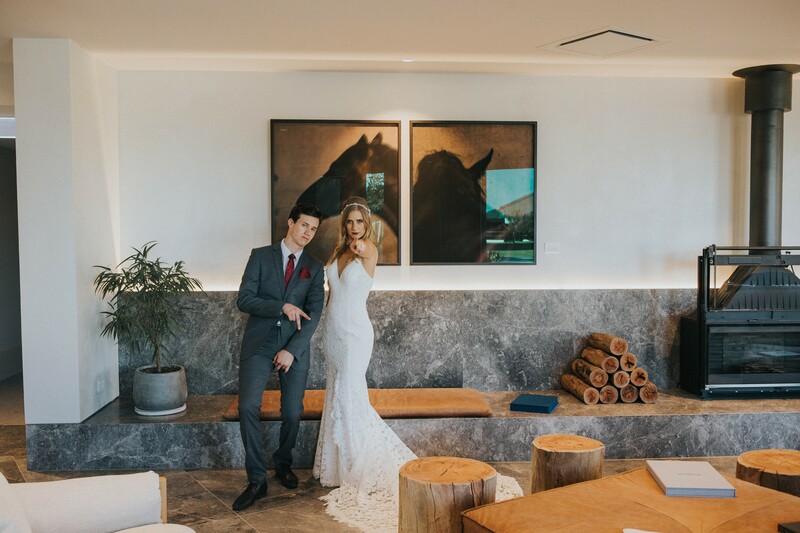 This edition Bride and Groom were lucky enough to work with the talented Mickala Thomas of Mickala Thomas - Pure Mac Photography at the stunning Mitchelton Wines. Blown anyway by the venue’s versatility, Mickala and said she would recommend it to brides and groom. “It was a great location to have multiple different shots at the same place,” Mickala said. 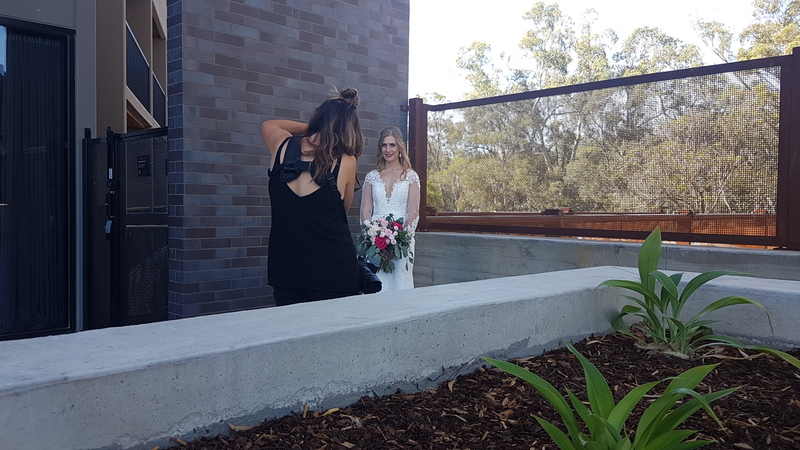 From the cellar and the art gallery to the vineyards and of course the iconic Mitchelton Wines tower the photographer was able to mix up her style. Golden hour is always a winner in a photographer’s book and for Mickala the highlight of the day was shooting the very last dress at sunset. “It’s where the magic happens,” she said. 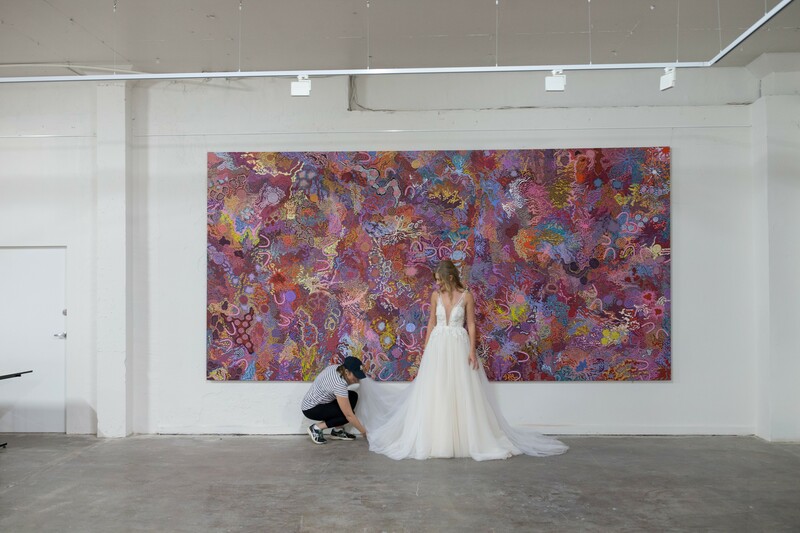 Mickala's breathtaking images are featured in the latest edition of Bride and Groom Magazine. A list of stockists is available on the website.